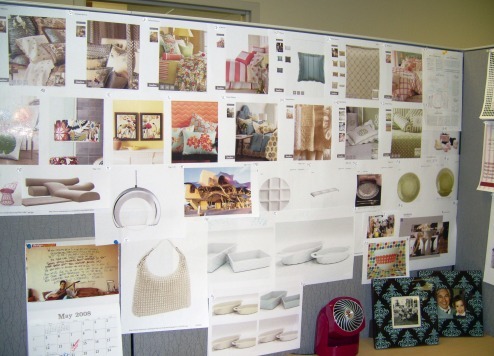 These are a few things things that inpire me during my trend research and lead to my product designs. I constantly read, explore, shop and talk to gain inspiration for what I do. With so many ideas and inspirational images to contend with, I create a project management wall every few weeks. Images are posted and posted over until only the most significant survive... those are transferred to the Design Wall- they are the concepts that will see fruition. 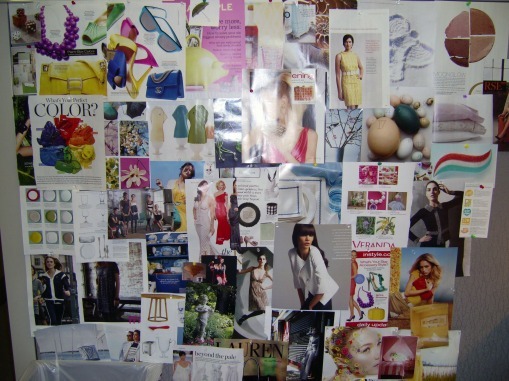 These are inspirational images that have "made it" and will continue to see me through the design phase of creation.